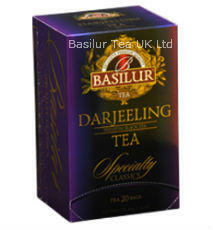 Darjeeling tea is a tea from the Darjeeling district in West Bengal, India. The flavour can include a tinge of astringent tannic characteristics, and a musky spiciness sometimes described as 'muscatel'. Grown in the foothills of the Himalayas (India), Darjeeling tea has a distinct but delicate flavour and is often referred to as the Champagne of Teas. 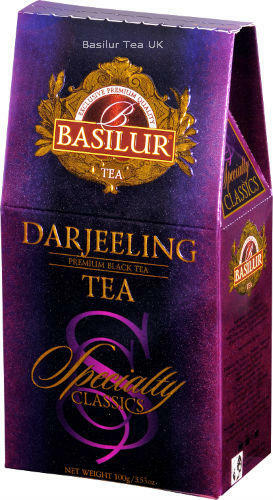 Ingredients: Pure Indian black, leafy tea from the Darjeeling estates, no additives.